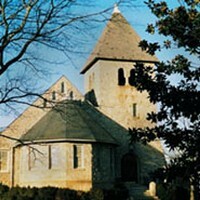 Decatur First United Methodist Church serves as host for performances and other events. Parking: Free parking is available behind the sanctuary in the parking lot on Commerce Drive. Walk across Ponce de Leon (approximately one block) to the chapel. There is no parking available at the chapel. MARTA: Exit the Decatur Station and head south on N. McDonough St. toward West Trinity Place. Turn left to stay on N. McDonough St. Turn right at Trinity Place and then take a left on Church St. Turn right at East Ponce de Leon Ave.